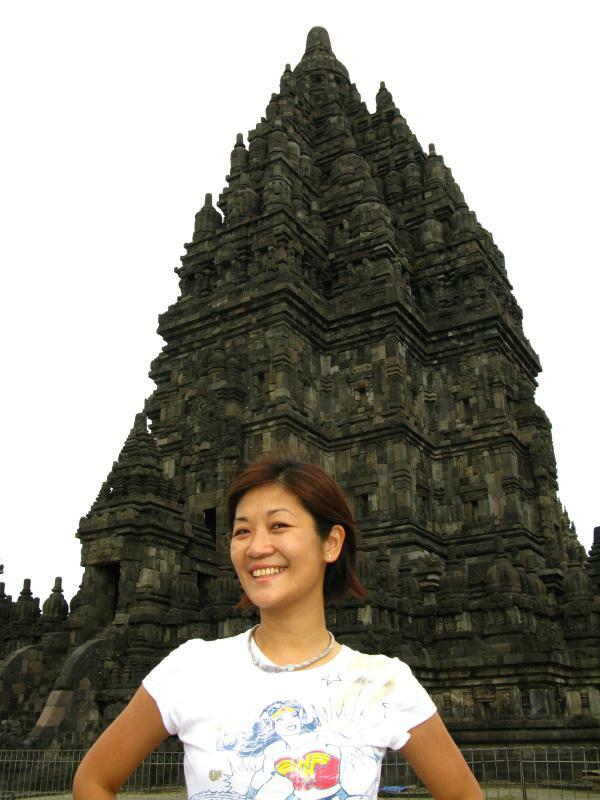 After being recharged by a restful nap and fulfilling lunch, Ayu and I hopped on her motorbike and head to Prambanan Temple. Prambanan is the largest Hindu temple in Central Java, Indonesia. 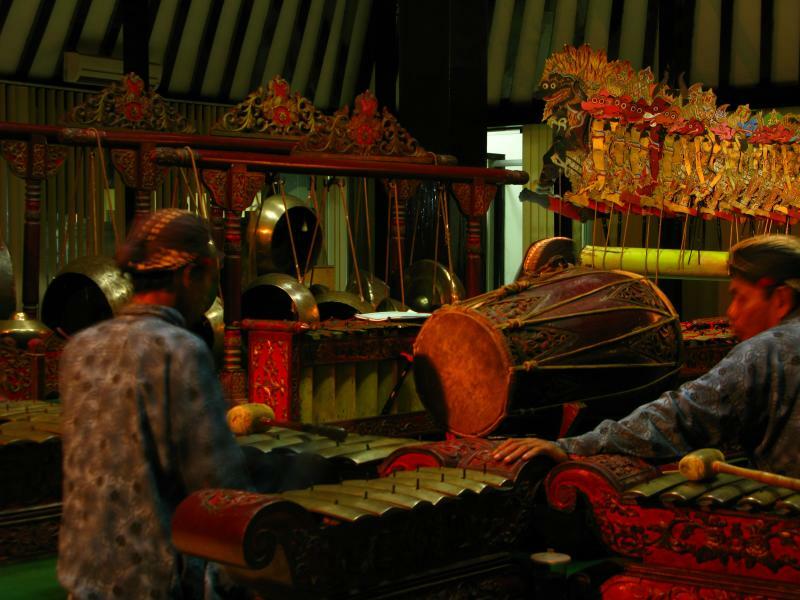 It is located approximately 18 km east (or 20 min) of Yogyakarta center. The temple is a UNESCO World Heritage Site and is 1 of the 2 main reasons why I’m here (in Yogya). The other being Borobudur, of course. I knew before coming but was surprised that the entrance fee to this temple is USD11, as expensive as the fees in Europe. I’m not saying that it’s worth less than Europe’s attractions, but being in Southeast Asia, you’d think the cost to maintain the site would be significantly lower. My meal earlier costs less than 2 dollars, know what I mean? But we had a brilliant plan. Locals only pay $1 and we figured I’m not a bule (blue-eyed, blond tourist). I’m a Southeast Asian, therefore I can pass as Indonesian. They have plenty of Indo-Chinese. We will buy 2 local tickets and will casually enter the gate. Ayu will utter some Indonesian sentences while we go in and I will just have to nod and agree. Simple, yes? Not. As we enter, the guard stopped us and asked where I am from. Ayu said Bandung, which isn’t a complete lie, as I really just came from Bandung. He then smugly spoke to me in Indonesian. Busted. 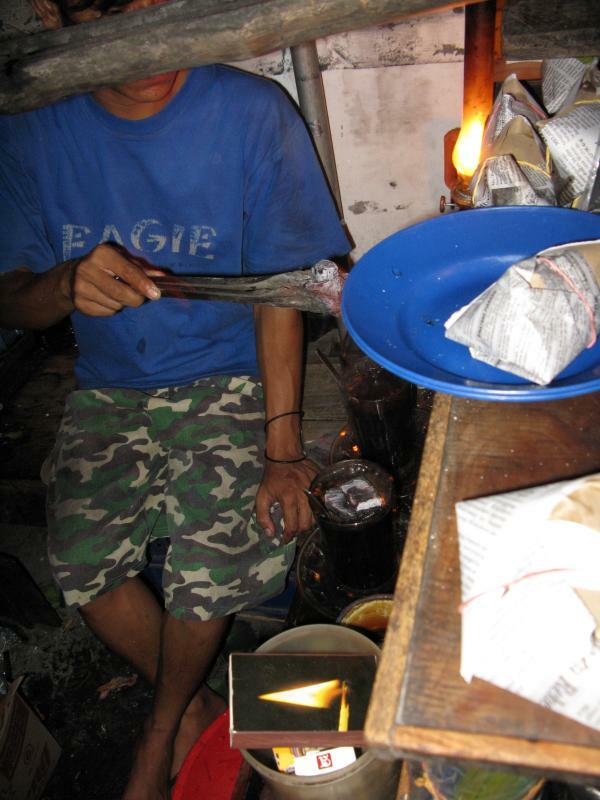 Then more Indonesian to Ayu. Then we were directed to a window that sells ticket to foreigners. Oh well, fine! I have reconciled with it. It is fair that the locals get huge discount. Everytime they have guests from out of town, they accompany them to the temple. Ayu probably been there 20x, at leasts. So she’s already paid $20 so far for the entrance. I don’t know when I’ll ever come back. So fair. Plus they really needed the fund for the reconstruction. The temple was severely damaged during an earthquake in 2006, as can immediately be noticed with the debris scattered over the ground. And photos shows the extent of the damage. It was closed for sometime but now again open for public but not fully restored, wonder if it will ever be. 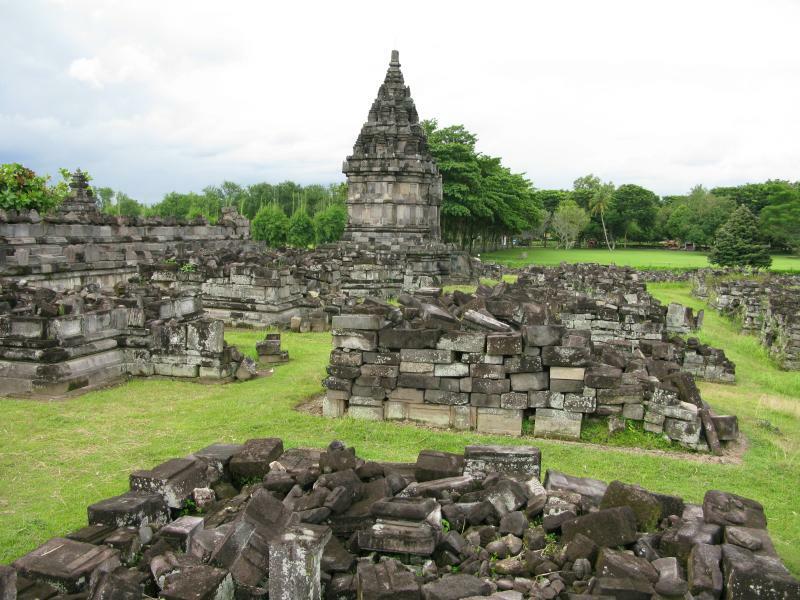 Prambanan is a HUGE compound that comprises a group of temples. The three main ones in the primary yard are Vishnu, Brahma, and Shiva temples. There are more at the back, smaller but basically of similar pointed structure, said to be typically of Hindu architecture. It’s beautiful, gives you the larger than life feel. Took my breath away imagining that it has been built some 2000 years ago and there it stood before me. Around 8.30pm, Andri fetch me from Ayu’s to show me several more local site of interests including a puppet show, a wishing tree, and kopi joss with the Yogya couchsurfers. 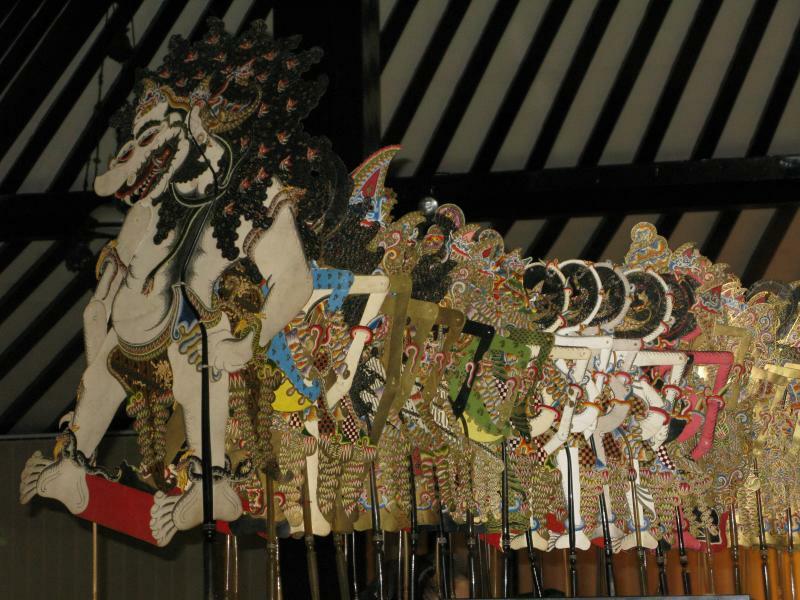 The museum is of beautiful Javanese architecture, situated on the northern side of the city’s main square in front of the Sultan’s Palace, where curiously there were 2 pet elephants, in the palance, not the museum. 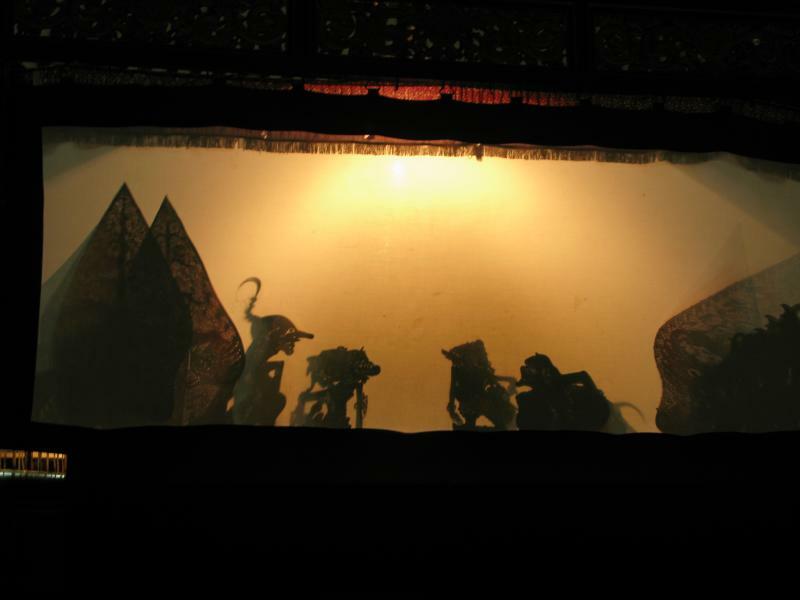 We’re here to watch the shadow puppet show performed every night even if there were no audience. We came in during the middle of the performance, not that it mattered because it was in native Javanese. Meaning not only I don’t understand it, even Andri doesn’t. But it’s interesting to watch none the less. After the show, Andri brought me to the alun-alun selatan (south square of Kraton area) and challenged me to walked through between 2 giant banyan trees, 20 meters apart. 20 meters? Should be easy, even with your eyes closed, yeah? Exactly. 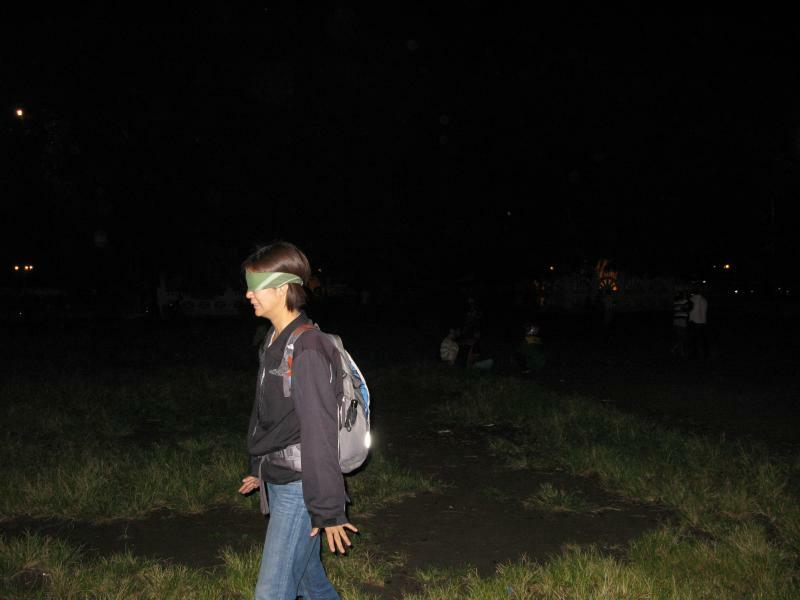 You have to do it blindfolded, 50-60 meters away. And if you succeed, then congratulations, good things will come to you. ap food. And what an interesting and relax environment it is. 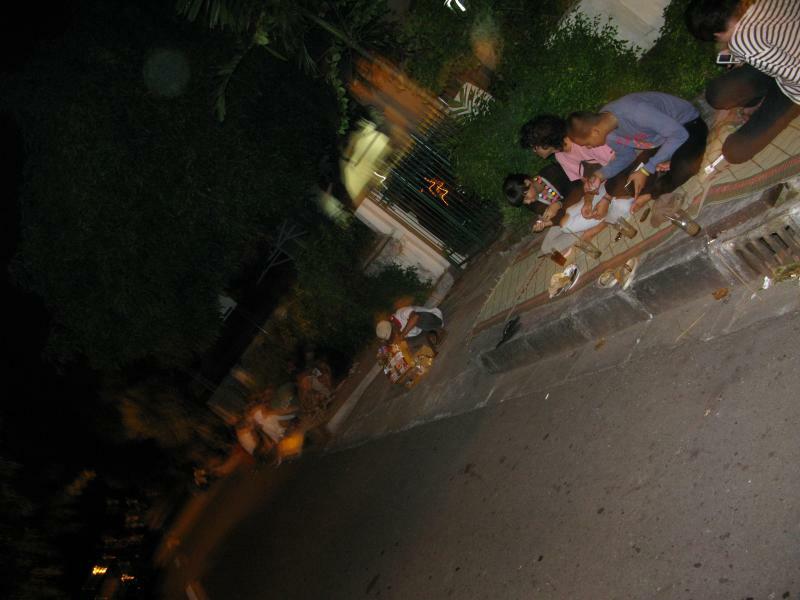 This is basically a stretch of street with food stalls on one side of the sidewalk and the opposite side, straw mats were laid for people to sit, eat, chat, and drink kopi joss. It was cheap indeed, I paid 12.000 for rice and several sticks of food (fish balls, chicken intestines, etc), rice (wrapped in leaves, Cebu style puso), and kopi joss. This is coffee where they put burning coal in it before serving to you. I think for the burnt flavor. It’s actually good. 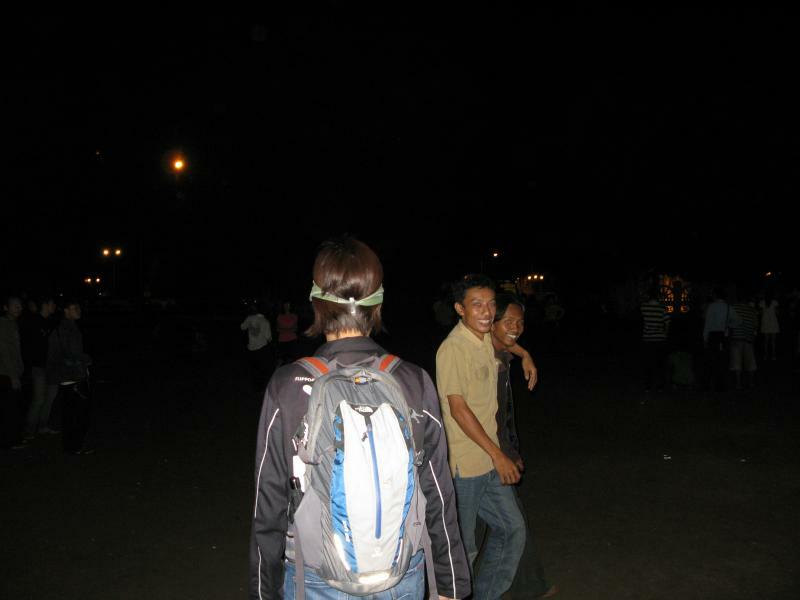 I met some of the Yogya locals and visiting couchsurfers. They were planning for a beach trip on weekends. Nice.